Energy S10.3 Powered 10" Black Subwoofer Speaker 200W . Condition is Used. This subwoofer is in good working and physical condition with the exception of some scratches, scuffs, and some nicks mainly at the back and a couple on the top. Also piece of one of the back feet has broken off. The cloth grill also has a couple small rips. Please take a close look at the pictures and bid accordingly. They look and sound great. Smooth, Realistic Sound. Made in Canada. Small footprint will fit just about anywhere. The 2 upper grille pins are broken off inside the cabinet. Grille stays on OK but could try to re-glue the pins or use Velcro, if desired. Energy Reference Connoisseur In-ceiling Speaker. 8” 3-way RC8C. Shipped with USPS Priority Mail. All speakers work great everything is in good shape one small chip in the finish on one speaker on top side edge see last pic other than that they are in good shape. As you can see from the pictures these speakers are in excellent condition. I rarely used them as they were installed as surround speakers in my secondary system. 1x Energy S8.3 High Level Input Powered Subwoofer with Crossover 100 watts RMS. It has been tested to output clean deep sounding bass at maximum level with no issues noted by the testing technician. Physically, this Subwoofer has scuffing and scratches from normal use, see photos. Condition is New sealed in the box. Speaker cabinets have a few small scratches, but speakers are in excellent condition overall and sound perfect. If you have. Trending at $229.50eBay determines this price through a machine learned model of the product's sale prices within the last 90 days. UP FOR SALE IS ENERGY S8.3 B-1 POWERED SUBWOOFER. SUB IS IN EXCELLENT WORKING CONDITION. FRONT FIRING WOOFER WORKS AND LOOKS EXCELLENT, NO ISSUES AT ALL. DUST CAP WAS RECENTLY REPLACED WITH NEW ONE. Great sounding bookshelf speakers. Great review by "Good Sound" magazine. Energy has managed to outdo itself once again. The hand rubbed high gloss piano finish is both classy and contemporary, alluding to the quality of fit and finish. Whether installed as a front, side or surround channel, the C-100 is always at ease. Energy E:XL-S8 6" powered subwoofer in very good used condition, recently removed from a working installation. It weighs about 22lbs unboxed. Nice, gently and rarely used Energy 8” ESW-C8 powered subwoofer. Original box and packing. 240 watts peak power. I used it in my home office and would be good for small rooms, apartments or small audio systems. Front facing 8” driver with speaker grill. Bottom facing port. The CC-5 is small in every way but its performance. The black ash finish with high-gloss black baffle looks great with any new flat panel monitor. Center channel speaker for detailed dialogue, big music and effects. Excellent condition! Single bass-reflex design subwoofer with front-firing port. Power output: 200 Watts. Inputs: Line In/Sub In and Speaker Level In. Power Mode Switch Off / Auto / On. Energy Power Bar Subwoofer wireless. Outside is in very good condition. Turns on but haven't tested with a sound bar. Trending at $60.66eBay determines this price through a machine learned model of the product's sale prices within the last 90 days. Subwoofer ONLY. This listing does NOT include satellite speakers or center speaker. Excellent condition. Works perfectly. Energy Take 1 Center Channel Speaker . Condition is Used and shows signs of normal wear. The speaker is in prefect working order and sounds great. Energy Powered Subwoofer. Very nice (working) energy e=XL-S12 powered subwoofer. Black finish is in near-new condition - no scratches on the surfaces. I've tried to show them in the photos. Again, these are on the bottom edge. 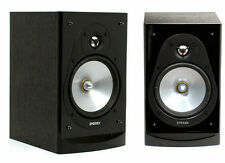 Pair of Energy ESM 2 speakers. New foam surrounds on the 8" woofers. Tested working well. Subwoofer cut frequency. 1.0 x Subwoofer input ( RCA ). Speaker Type Active. Response bandwidth 29 - 100 Hz. New Grill Cloth, Underated Power, Fully Loaded with Features. Nominal (RMS) output power 100.0 Watt. MADE IN CANADA. SERIAL NUMBERS: 459153 AND 459154. For sale is a gently pre-owned Energy Take 1 Center Channel Speaker. I don’t see any signs of damage and the speaker is in really good condition. The center speaker has been tested and sounds great. There’s tons of life left in this beautiful center channel. Fast shipping!! All packages will go out within 24 hours. Please note that packages being shipped Economy, typically arrive in 5-8 business days. I'm proud of my feedback rating and will do everything I can to make sure you are completely satisfied. If you have any questions, please feel free to contact me. Woofer: 2 x 5.5" w/Ribbed Elliptical Surrounds. Center Channel Speaker. 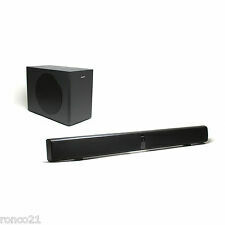 Center channel speaker for detailed dialogue, big music and effects. 20-200 W /channel. Frequency Response. Weight: 17.40 lbs. High gloss black baffle with black ash cabinet. 2 Energy Speakers-System Connoisseur Series C-1. GRILL COVER LOOKS GREAT. Everything is tested and is in excellent working condition without any problems that I have noticed. Up for sale is a tested. 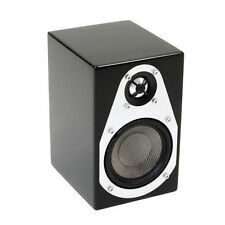 Energy Take Classic RC Micro Speaker System BRAND NEW In Sealed Box. Condition is New. System Type 2-way bookshelf, magnetically shielded bass reflex with rear-firing port. These compact speakers go virtually anywhere—on the wall, on a shelf or stand. The black ash finish with high gloss black baffle adds a cool touch that makes them an even bigger value. Hole Cutout 7-1/2" W x 10-7/8" H. Crossover Point 2.2 kHz. Power Handling 100 Watts. Double-Boxed and. We cater to music enthusiasts and audiophiles, and we love what we do. We design audio systems for all budgets, from entry-level to high-end. Center Channel. Crossover Channel Qty 2-way. Signature is required. 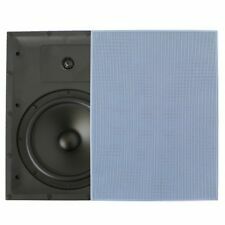 Used, Energy EAS-6W In-Wall Speakers. There is a repaired chip on the finish on the right front lip. This center channel speaker is in perfect working condition. Woofer: 2 x 5.5" w/Ribbed Elliptical Surrounds. 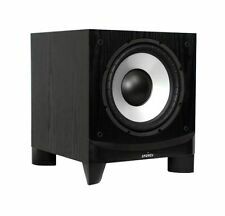 Center channel speaker for detailed dialogue, big music and effects. Type - Center Channel Speaker. Channels - 2 CH. Frequency Response - 60Hz - 20kHz /- 3dB. Or BAD area, this tube should be replaced. Driver :8" injection-molded woofer cone with polypropylene/mica/glass spheres, TPE sur-round, 20-oz magnet, 1" voice coil. e:XL-S8 Powered Subwoofer. Amplifier power :100W RMS continuous, 400W peak. Getting past an audio threshold that everyone can hear requires volume. The height of your sound is a prospect that Energy speakers can be positioned to reach. 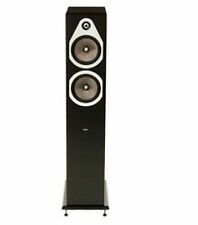 These are dynamic loudspeakers with a simple design that packs impressive power and are available on eBay. Are there different tones and textures in Energy speakers? 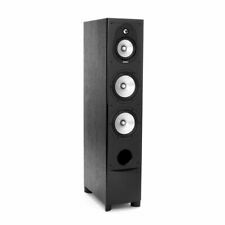 Speaker sets: Sets of speakers provide a broad selection of tones, yet these tones also hone down to reach a specific objective. The way you place around an entire set is critical to the textures and tones you get. Subwoofers: The strong, deep sounds of your audio output can be mixed with woofers, which are the diaphragms that enable deep frequencies to play with superb volume. Tweeters and drivers: These combine to provide high and mid tones in sound and are mixed within an entire system for full range and depth. Are Energy speakers simple to install? You install Energy speakers at ground level, on mounts, or elevated for positioning. Ceiling mounts are special brackets that secure to the ceiling as well as the speakers they hold. Energy speakers are also ideal for shelves, mantels, and available table space. Also, consider the space you use when arranging these speakers. Take your time to find the right fit, so it can harness the power you need. The users manual then guides you into the depth of potential you have. Whats a simple way to get volume in sound? Energy speakers are a simple way to project more volume in sound. You can begin by measuring the space you have, and consider how you need to use a sound system. All speakers are only as functional as the signals that run through them. Your connection to various audio signals powers these speakers to reach high volumes and more diverse shades of tones. New speakers are a consideration for volume because they are versatile while placing enclosed speakers on ceiling mounts achieve effect and style. Some are mounted on the walls with shelves or brackets while others feature floor stands made into pillars that stabilize the speakers as a device to increase sound and to add stimulation into your space. Stimulate the atmosphere with the right set and with a quick look at the eBay options there are. Content provided for informational purposes only. eBay is not affiliated with or endorsed by Energy.